I feel in my flesh a law that contradicts the law of my spirit, she was saying clearing her throat in the dawn: everything was shivering more and more though nothing was transformed. The question of transformation is never far from sight in Clarice Lispector’s work. Her novels and short fiction are pervaded by questions of naming and identity and acts of narration that toy with the practices of reading and writing. Her stories brim over with feverish dreams, heat, eggs, languor, suffering and torment, and the movement between life and death. The kind of metamorphosis which generally presents itself however is not one of omnipotent fluidity, a kind of absolute fantasy where anything might be possible, but rather a struggle, a space of contestation. More often than not transformations remain suspended or incomplete, frequently interrupted by the intrusion of acts of writing into the text or else displaced by a sudden death or an awakening from torpid dreams, bathing her fiction in a shifting and uncertain light. Born in 1920 to a Jewish family in the Ukraine, Lispector grew up in Brazil after her family, fleeing the pogroms and violence plaguing certain areas of Europe, sailed there when she was little more than a year old. The family changed their names upon arrival and Lispector’s birth name Chaya became Clarice. A Cidade Sitiada is Lispector’s third novel, newly translated by Johnny Lorenz as The Besieged City. First published in 1949, the novel was composed during a period of profound boredom when her diplomat husband was stationed in Switzerland; a place Lispector described as “a cemetery of sensations.” It is a book that, on first appearance, occupies an odd place in the author’s oeuvre: devoid of much of the “interiority” of her more famous works and stylistically anomalous, it met with limp critical reception at the time and several accusations of hermeticism. The intense introspection and self-reflexive examination of the practice of writing pursued in works such as The Hour of the Star are all but absent from The Besieged City. Further, the autobiographical character of much of Lispector’s fiction—perhaps the element most commented upon in English critical discourse of her work—is in this case not so apparent. The author herself described it as “one of her least-liked books” and the promotional material supplied with the book seems to align itself with this idea of a novel at odds with the writer’s other works, describing The Besieged City as “a novel about simply seeing the external world.” However this gaze, such that it is, soon reveals something quite different from what this supposed simplicity purports. Reality was needing the girl in order to have a shape. “What is seen”—was her only inner life; and what was seen became her vague story. This is where the novel stands as a significant departure in the context of Lispector’s works. Rather than being a novel of interior reflection and the formation of consciousness through a relation between inner and outer selves, The Besieged City instead takes the form of a novel constructed from reciprocally reflective relations between objects. Lucrécia is not an individual in critical contestation with her surroundings but dissolved within them. She is an observer of objects and an object to be observed. In fact, all of São Geraldo’s inhabitants are beings of surface and sensation, always thought of in relation to their possessions and the physical landscape of the town. As Lucrécia herself says in a particularly Hegelian moment: “The hard thing was that appearance was reality.” This means that, though Lucrécia seeks authority over the city, her site of invention, she is unable to establish it, for she remains inside the city, contained by it. The impulse of the desire to create, of making and controlling the world, is destabilized by her presence within it. “Eleven o’clock,” said Lieutenant Felipe. He’d barely spoken when the church bells struck their first chime, golden, solemn. The people seemed to hear space for a moment . . . the banner in an angel’s hand froze trembling. But suddenly the fireworks rose and exploded amidst the chimes [. . .] Above the heads the lanterns were misting up quivering the vision; the fair stalls were warping as they dripped. Cars, with invisible drivers, were sliding in the water and suddenly changing direction, you couldn’t say why. São Geraldo had lost any purpose and was now functioning all by itself. The dizzying excess of images, the partial dissolution, or open valence between humans and objects, here begins to take on a more sinister aspect: human social relations become transfigured into relations between things. The exploration of this mysterious property of objects, common to both The Besieged City and Karl Marx’s notion of fetishism in the first volume of Capital, resurfaces in Lispector’s final novel, A Breath of Life. The book concerns the relationship between an author and his creation Angela Pralini (a stand-in for Lispector whose name is recycled from a character in the short story “Where Were You at Night”). Pralini herself is also a writer, one who wrote a novel called The Besieged City which she describes as speaking “indirectly about the mystery of the thing”; a process she refers to as “a timid approach of mine to subverting the living world and the threatening world of the dead.” In this way the space of the novel inverts Lispector’s remark about Switzerland, being less a “cemetery of sensations” than the sensations of a cemetery. On a political level then one might be tempted to read The Besieged City as a novel of subsumption, of modernity’s frenetic connectivity which pulls at the fabric of the individual and erodes the separation of the worlds of the living and the dead. And indeed to do so would appear in many ways be correct. However, for a writer whose writing is so concerned with the practice of writing itself, and one who, in her only televised interview, stated that she wrote “without the hope that what I write can change anything at all,” this cannot be the whole story. Whilst The Besieged City is a novel about things, it is also one about language and the act of literary creation. After all, the thing may be a material object but, as the fictional Angela in A Breath of Life reminds us in her remarks about her own nonexistent novel called The Besieged City, “a word is also a thing.” The act of production, the creation of a text, a character, a work, becomes radically altered in the face of the vast accumulation of material objects predicated by the acceleration of capitalist modernity. The possibility of creating meaning, purpose, is always under the threat of destruction by a monstrous force that has seemingly begun to “function all by itself.” Here all invention, like that of Lucrécia, is forged out of incomprehensibility, from an incapability of expression. All that can be spoken is surface and matter. All that can be heard is the space that trembles in between. 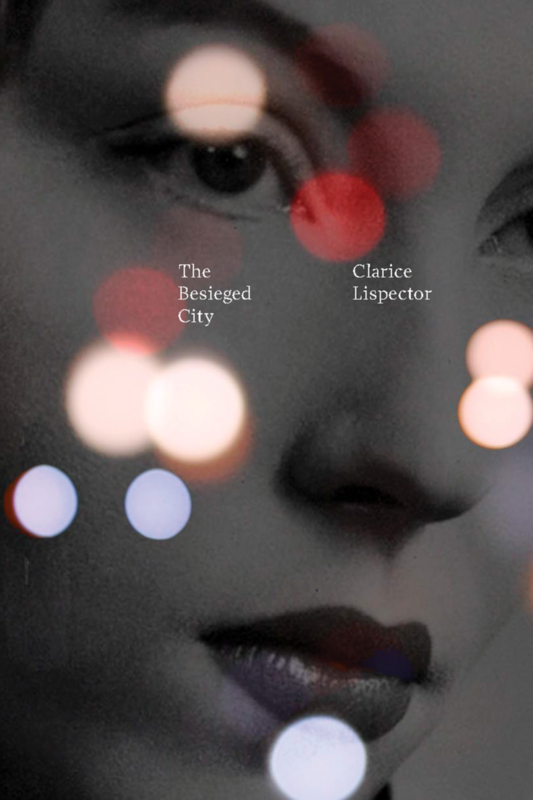 It would ultimately be disingenuous to rank The Besieged City among Lispector’s finest work. It does not reach the extraordinary heights of The Hour of the Star, her best short fiction, or The Apple in the Dark. However, it stands more as a kind of creative misstep, the pursuit of a particular facet of the author’s work to its shivering endpoint. This shiver is not the anxious trembling of existential responsibility, but instead a kind of resonance, a thrum, left in the space where the violent tide of historical progress has changed the very nature of what it means to be transformed. In Lispector’s complex and dizzying novel, the problem of writing is not played out on the terrain of introspection, of the dialogue between author and creation, but in a place where that relation has become obscured by the radical relationality of modernity. Daniel Fraser is a writer and critic living in London. He has written for the Los Angeles Review of Books, Berfrois, Gorse, and The Quietus, among others. His short fiction has appeared in the Newer York and Black Sun Lit. Find him on Twitter and at Obliettes.